After a recent trip to Costa Rica this summer, where I hiked through two different rain forests in a pair of sneakers made for the gym, I decided that I needed to buy a pair of hiking boots. I wanted a pair that would, obviously, be helpful when I was actually hiking, but that also looked cute and could be worn in a more stylish way. I found this pair, ordered them, then fell in love. 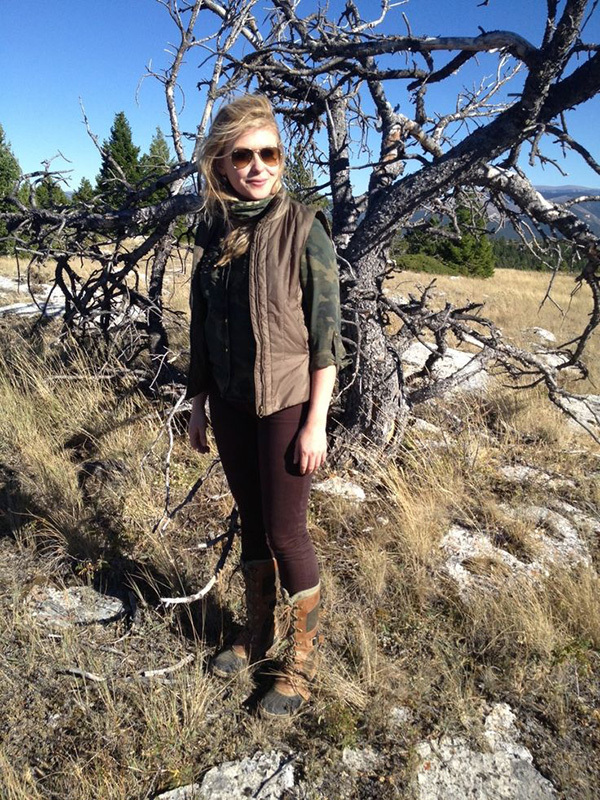 It wasn’t until I bought those boots that I realized hiking boots can actually be quite chic. Yes, they have a purpose – to hike, clearly – but that doesn’t mean you can’t wear them in other situations as well. 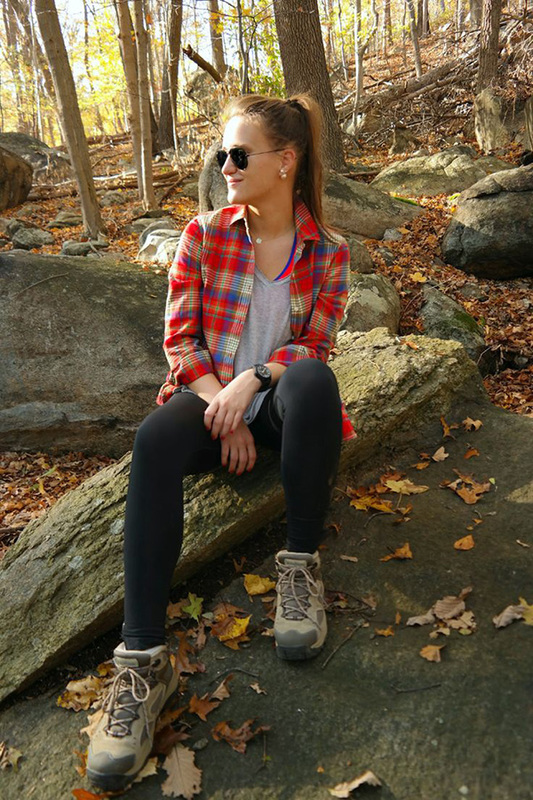 I wear my hiking boots whenever I’m hiking or doing nature walks, doing a lot of stuff outside, or when the weather is rainy or snowy. They’re super comfy and they’re practical – and when paired with the right clothes or accessories, they can also look so cute. 1. 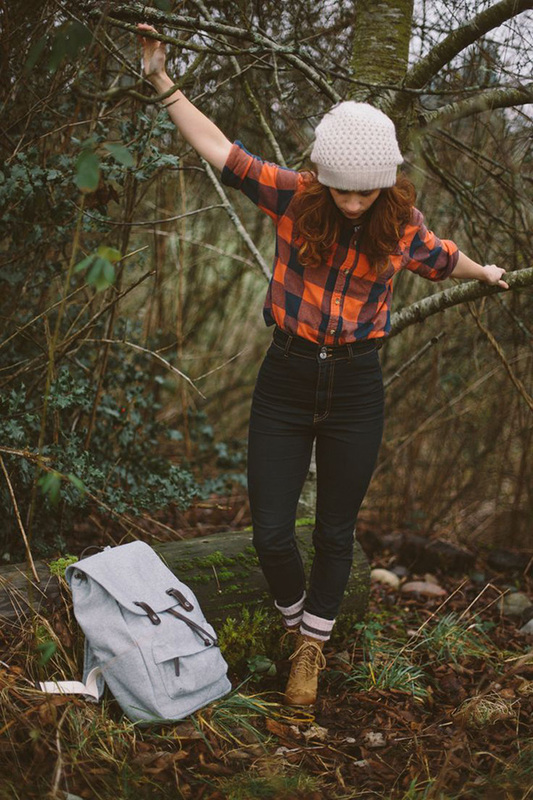 The perfect fall outfit: leggings, a plain tee, a plaid shirt, and a pair of sturdy boots. 2. 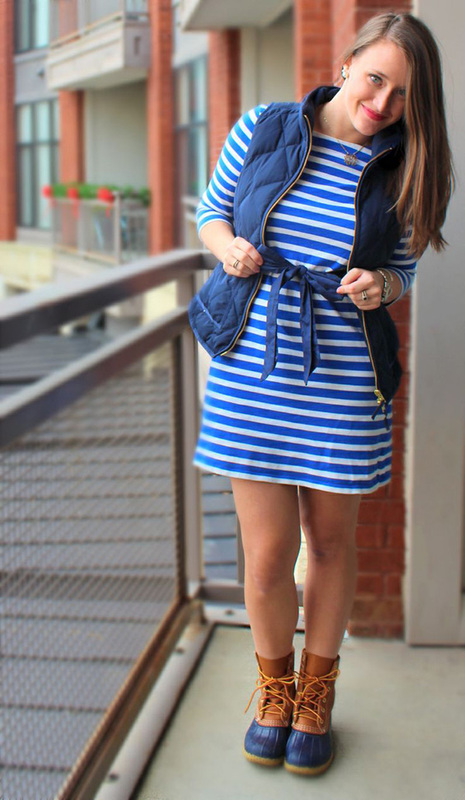 Add a puffy vest and jeans when it’s a little more chilly out. 3. 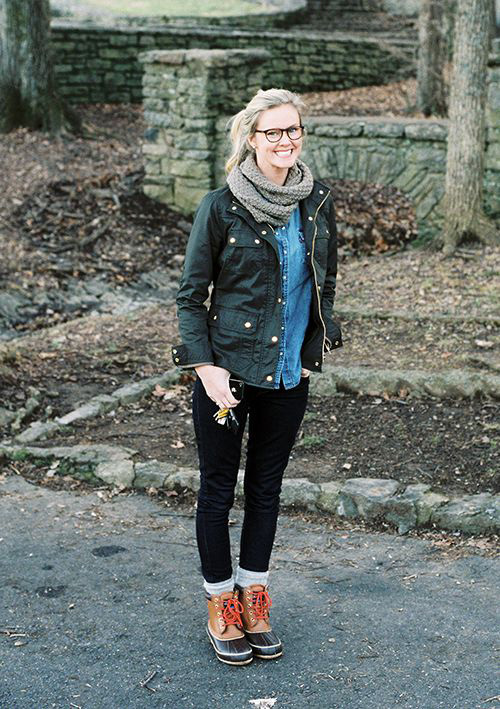 Use a pair of tan hiking boots to break up an all black outfit. 4. 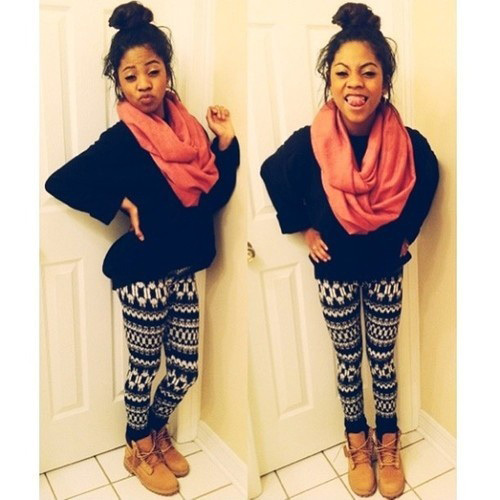 Make your boots a little more glam with a skirt, tights, a sweater, and a cute hat. 5. 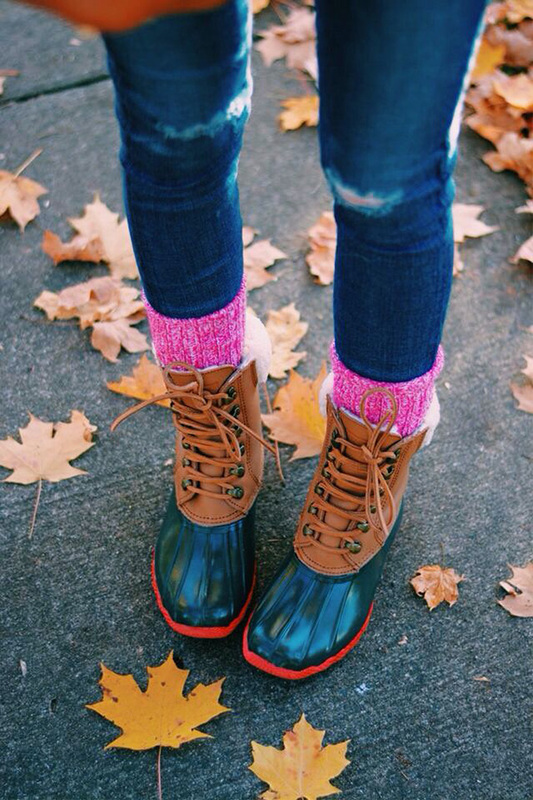 Make your hiking boots more fun by adding a pair of bright, colorful socks. 6. Your hiking boots can definitely be worn with socks, tights, and a skirt. 8. A fur vest can be super glam. 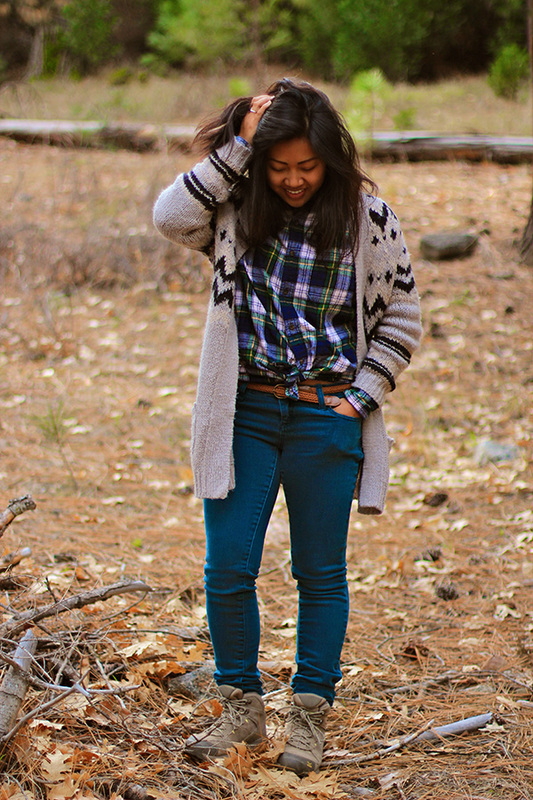 Tone it down with plaid socks and a pair of hiking boots. 9. As usual, you can’t go wrong with a knit scarf, socks, and a chambray shirt. 11. A pair of hiking boots looks so cute with lots of layers, and a chic winter coat. 12. 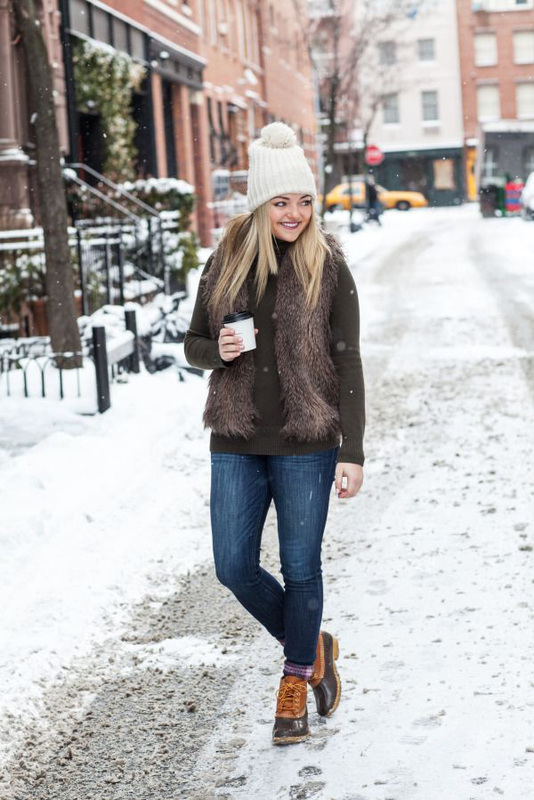 Add skinny high-waist jeans, a buttoned up plaid shirt, and a beanie for a really cute winter outfit. 13. 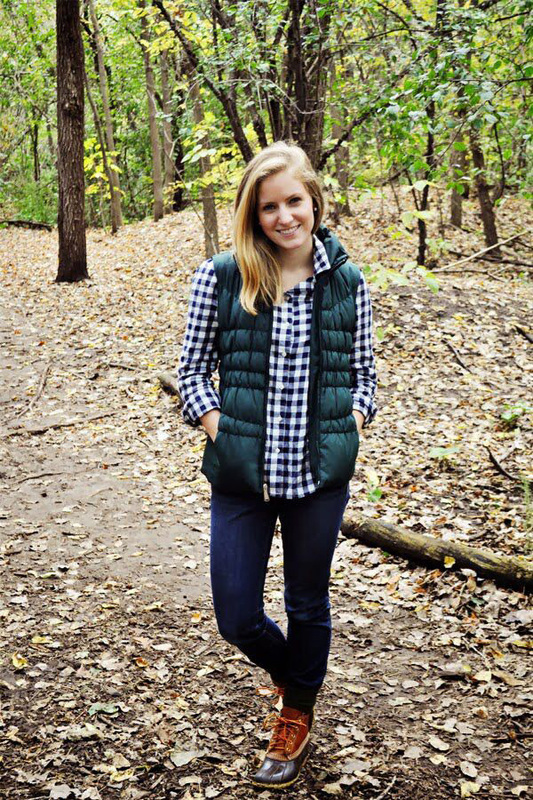 A sweater over a plaid shirt is fall layering at its best. The hiking boots make this outfit practical and casual. 14. Add a long, cozy cardigan for serious winter vibes. 15. 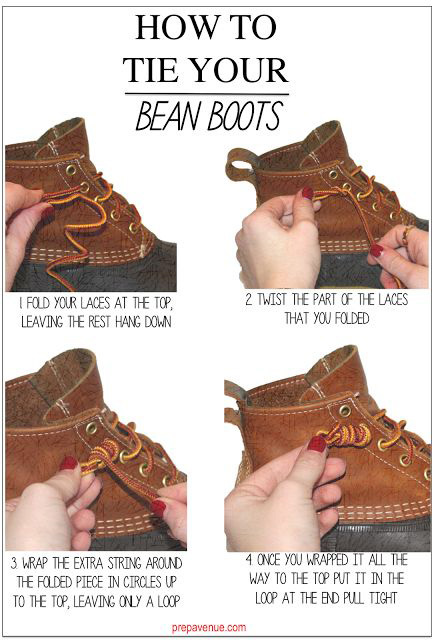 Opt for tall hiking boots instead. They’re better for actual hiking because they protect more – and they have a different look. 16. Cargo pants and hiking boots make it look like you’re ready to go on an actual hike. So why not do it?! 17. Add printed leggings for a fun, comfy look. 18. Go for colorful hiking boots, like this green pair, instead of traditional tan or brown. 19. Not ready for tights? Pair warm socks and hiking boots with your skirt. 20. Or skip the socks, and just add a layer with a puffy vest.